This item is sold as a package of 12 pieces. Description: PA Paper Mache Shapes can be decorated using a large variety of items such as stickers, rub-ons, paints, paper, fabric, buttons, charms and more. Each shape is Eco-friendly and 100% recyclable. 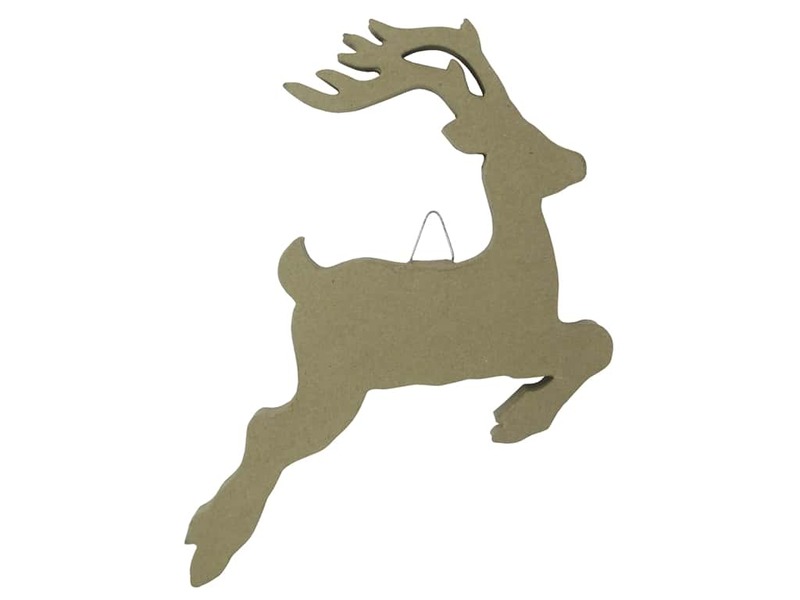 Leaping deer shape with a metal hanger on the back. Measures approximately 10 1/2 x 5/8 x 14 inch. Paper Mache Flat Jumping Deer 14 in. by Craft Pedlars (12 pieces) -- CreateForLess 5.00 out of 5 based on 1 ratings. 1 user reviews.